In 1996 Mike started taking on weddings more than school dances. “What I loved about weddings was that they were all different depending on what the clients wanted.” Even at such a young age Mike saw the importance of getting to know his couples and making their experience unique. 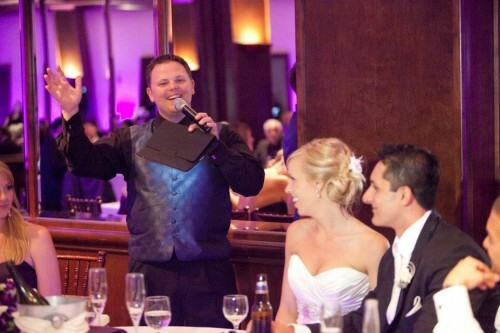 Mike now teaches the rest of the DJ industry the importance of creating a unique celebration and the new trendy ways to do it. Mike was the first public member to be accepted into the Wed Guild®. When the Wed Guild was introduced by Peter Merry a few years back, Mike told Peter that day that he wanted to be the first member. Over the years Mike has always come up with ways to use technology to his advantage to create amazing moments for his clients at their events. Because of his passion for technology Mike now has the opportunity to speak at national conferences. He has recently teamed up with fellow WED Guild® member Randy Bartlett and together they produced Vol. 5 of “The 1% Solution” series titles “How’d They Do That?” Sharing his knowledge with the rest of the industry he can now show how he creates amazing moments for his clients such as Dancing on the Clouds, Digital Motion Monograms, Up lighting, and creating those amazing moments at events that the guests will talk about for years to come. If you want a cutting-edge entertainer that can bring amazing performance and breath taking atmosphere contact Mike Anderson with Creative Memories Entertainment. 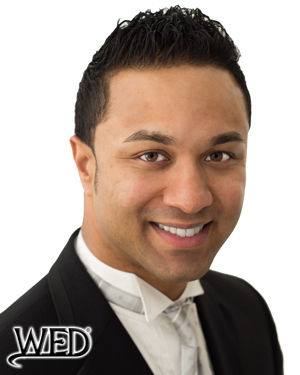 The WED Guild® is proud to announce its newest member Aldo Ryan with Aldo Ryan Entertainment from Brooklyn, New York. Aldo was inducted as a Wedding Entertainment Director® in January of 2014. He is married to his beautiful wife Nataliya and has a 4 year old daughter Alexandra. Aldo enjoys spending time with family and friends as well as many recreational activities such as winter sports, water sports, and nature. His energetic personality and amazing talent makes him one of the best entertainers in his market. Aldo’s hard work and dedication for his clients awarded him the honor of Wedding Wire Couple’s Choice Awards for 2014. 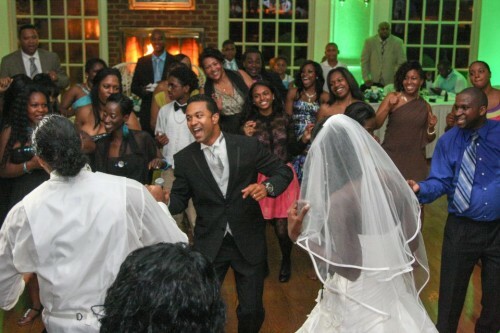 He understands the importance of his role as a Wedding Entertainment Director® and has furthered his education through trainings and workshops such as; Marbecca Silver MC, Marbecca Bronze Love Story, The Professional Process, Make it Grand!, and has attended multiple Wedding MBA conferences. Through the ongoing education Aldo has learned that “LOVE” is one of the most important qualities when he is looking for his perfect couple. If the couple truly loves each other, this is an event and a future worth working for. The subtle touches, smirks and genuine smiles, the camaraderie, compliance and willingness to compromise are all great signs of a couple’s love before I commit. To Aldo a Wedding Reception is an entertainment-driven function celebrating the marriage of two people who love each other unconditionally. It’s something that should be built, from the ground up, and include unique moments representative of who the couple is. 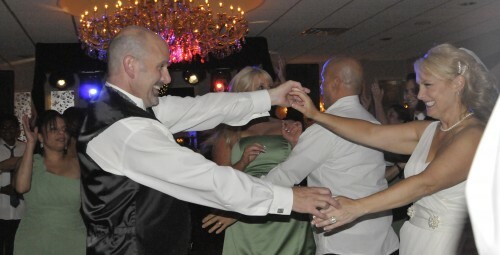 His favorite part of a wedding is the couple’s First Dance! It’s just the way a couple gets lost in each other’s eyes where nothing and no one else matters. Aldo loves engaging with guest and loves watching them connect, release reservation, let loose and celebrate life with their loved ones. AKA – DANCE! Aldo’s number one goal for your wedding celebration is hands down to enforce the agenda and everything you dream your wedding to be. By instituting all of those big and small moments which make up and separate your wedding from everyone else, he can truly help expose your special love with the respect it deserves. Nope, I’m not referring to the Foreigner song; I’m referring to your bride and groom, as well as their family’s wedding experience. Because of this, we need to make it memorable and amazing for all the right reasons. Just as husbands and wives should continue to “court” each other, we should continue to “court” our clients. We begin the courtship at the initial meeting, keep it going through the planning process and finally we deliver on our promises during the execution of their event. 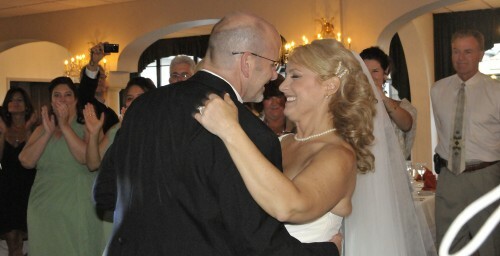 Our clients have trusted us with one of the most important days of their lives. They have spent more money than any sane person should on “just one day.” We must respect that and do everything in our power to make their day as special as possible. What is the “First Time” Feeling? Your clients are intelligent people who chose you because of your experience. They are aware that you do tons of weddings. So, how do you make it feel like the first time? How do you make them feel like your only client? The short answer is that you actually have to care. When they call with a simple question, make them a priority. When they want to get together and start planning, even though their wedding is 9 months away, make it happen. When they aren’t sure what is supposed to happen and when, or exactly how things should work…guide them with your experience, don’t scoff at their ignorance. This gentle approach will make your clients feel special and let them know they are important to you. This is good business. The above article was written by Liz Daley for her monthly column, “A Passion for Performance” on ProMobileDJ.com. Matt & Erin had 19 wedding party members to be introduced in an outdoor setting…so we opted for a format called “Who’s Getting Introduced Next?” which was submitted by Randy Bartlett as a creative idea in the Grand Entrance chapter of my book, “The Best Wedding Reception…Ever!” It should be no surprise to note that Randy is a Wedding Entertainment Director®.